Give us a little information about yourself and we will find the car insurance that best fits your needs. Get started on a free quote for Auto, Home, Commercial & Our Other Insurance products today! Own a car, home, or small business? Access Advantage Insurance can help make sure you have the insurance coverage you need to keep them protected. We have been serving the Charlotte community for 22 years. We look at each customer that comes to us as an individual with unique insurance needs. At Access Advantage Insurance we tailor coverage to fit your personal needs. The one on one personal care you can expect with Access Advantage Insurance allow us to advise on many different needs from auto insurance, homeowners insurance, workers compensation insurance, general liability insurance, notary services, and more. 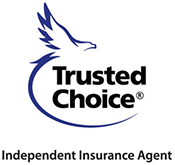 Why Choose Access Advantage Insurance? We offer the most competative rates regardless of accidents or violations. We protect your home from fear of any damage or theft. We offer general liability, workers compensation , property, and many other different options for any of your business needs. Don't pass up on the Health and Life Insurance! Not only dose it protect you from unexpected illness or death, it will also help fund funeral and Burial, and otherwise costly medical bills. Or any of our other insurance products? Call Access Advantage Insurance Agency today at 704-372-4233 for a free quote! Or, give us a little information about yourself with our online quote forms and we will help you find the insurance protection that best fits your needs.